Put on your boots and go outside! Here with us, you can wonderfully unwind and simply relax. However, if you are a passionate active vacationer, our region will truly reward you. Countless recreational opportunities await you in the summer months; however, hiking is the real highlight. Discover our gently sloping landscape with pine forests, alpine meadows, high plateaus, lonely valleys and mountain peaks up to 2,700 meters above sea level – immerse yourself in this perfect natural beauty. As your hiking hotel in Maranza, we offer the ideal accommodation, where you may experience as much of our South Tyrolean summer as possible. 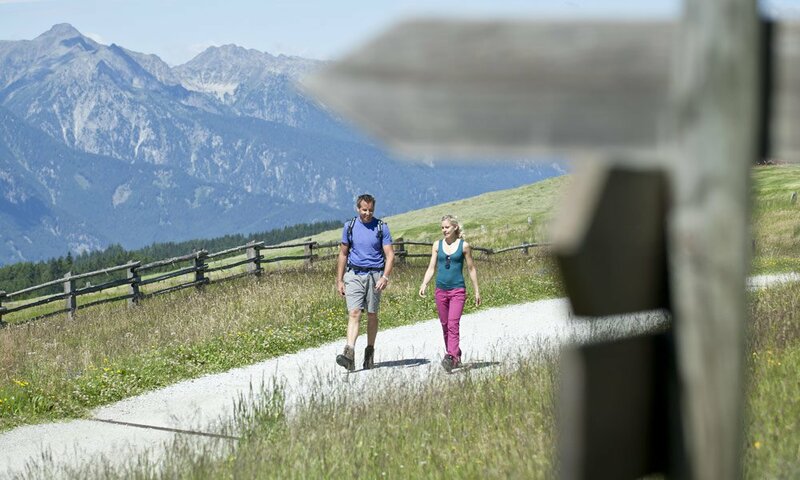 Hiking itineraries for all levels, Nordic walking and mountain bike trails, mountain paths and peak tours are available in great variety. From our hiking hotel in Maranza, you can easily reach the starting points or venture out directly from the hotel into the mountains – for example, using the cable car to Mount Gitschberg, which is located only two minutes from our house. 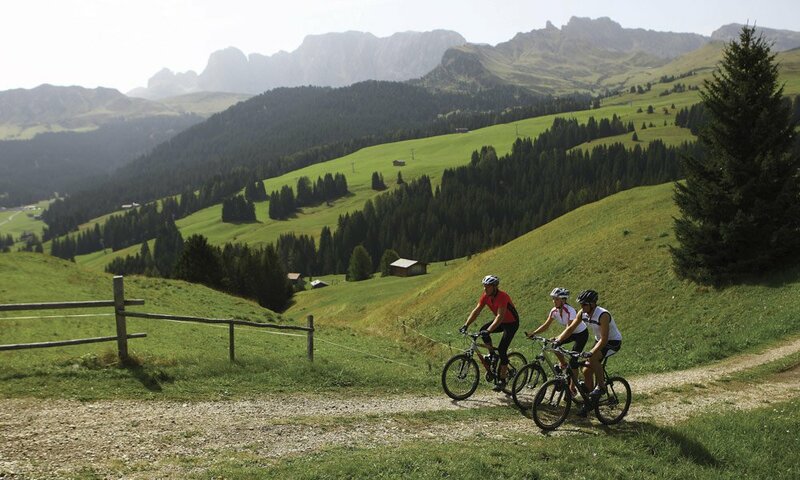 In the Isarco Valley, you can be active not only by foot. Here, besides hiking you may also try paragliding, play tennis or take a swim. No problem! Talking about summer holidays: Here is a good tip for your evening programme. In Maranza, every Thursday there is a Tyrolean Night. Our local orchestra and other bands, as well as the dance group guarantee great entertainment. However, during the day, next to your holiday activities, there are many excursions in and around the area. Visit the Loden Museum in Vandoies, the Castle Rodenegg, and “Ötzi” in the Museum of Archaeology in Bolzano, the South Tyrolean Wine Museum in Caldaro, the Pinacoteca and Library in the Novacella Abbey, the Folklore Museum in Teodone near Brunico or the South Tyrolean Mining Museum in Ridanna. 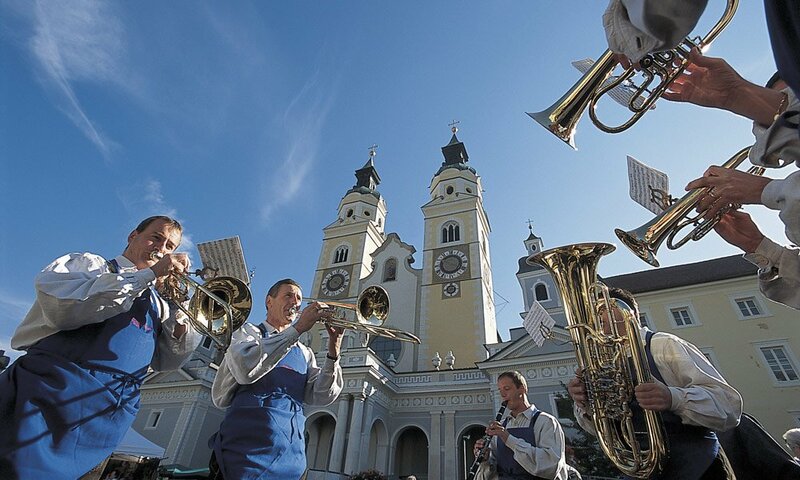 Moreover, remember to participate in the “Mühlbacher Gossnkuchl” in the summer!